If you’re looking to transfer GI Bill benefits to a dependent, like your children, or your spouse, then you’ve come to the right place. While it can be difficult to navigate the DOD and VA guidelines for benefit transfers, I’ve been tracking this process for nearly a decade, and this page will explain exactly what you need to do, and when, in order to successfully move your benefits to someone else. The first thing to consider is that you should initiate your benefit transfer as soon as possible, because most Service Branches want it to be completed before you separate from them, so don’t wait until the last minute, and definitely don’t ignore the value of these benefits. Remember, you’ve earned your Military Education Benefits via service, and it’s a shame to let them go to waste. Review the content below to find out how you can offer your benefits to someone else, and save them a boat load of money on higher education expenses. Perhaps the best benefit offered by the Forever GI Bill or the Post 9/11 GI Bill is the option to transfer it either entirely, or in part, to spouses (wives or husbands), children or other dependents (adopted children, step-children, etc.). Since these benefits can save your dependents tens of thousands of dollars in student loan costs, effectively allowing them to get a college degree entirely for free, you have a very good reason to pay close attention to this page’s content, and to make sure that you fully understand the way the transfer process works. Unfortunately, I’m still receiving tons of questions from military personnel who did not pay close enough attention to the fine print, and who left the service before transferring their benefits, or who did something else that invalidated their benefits transfer (like transferring benefits, then leaving the service before the transfer had been finalized), leaving their dependents on the hook for tens of thousands of dollars in student loans that they could have avoided! Make sure that you avoid financial disaster by reading this entire post, asking questions about parts of the transfer process that you don’t understand, and verifying that you really do have access to transferability benefits, because failure to do any one of these things could cost your family a great deal of money. Let me first offer you one piece of important advice – even if your GI Bill benefits transfers all work out perfectly according to plan, it’s highly likely that your dependents will still run into some kind of student loan trouble, because that’s happening with basically everyone, including military dependents that are supposed to have “full” coverage for all tuition and fees. What can you do to protect yourself of your loved ones from falling into the student loan debt trap, racking up so much that you can hardly afford rent, groceries and other bills? How Much of My GI Bill Benefits Can I Transfer? If you’re eligible for transfer at all, you’ll be able to give up to 36 months (or whatever is left unused) of your Forever GI Bill, Post 9/11 GI Bill or Montgomery GI Bill benefits to your spouse or dependent children. Not everyone is eligible to transfer their benefits though, because the military is using this benefit as an incentive to get personnel to agree to slightly longer service contracts. And that’s one of the most important parts of the transferability rules – I already mentioned it in the opening paragraphs above, but keep in mind that even if you have GI Bill benefits available, you may not be able to transfer them. You’ll need to make sure that you sign a long enough service contract after your benefits are transferred in order for them to be retained. If you leave the service too early, then your dependents lose their access to the benefits, and get stuck with a huge bill! Who is Eligible to Transfer GI Bill Benefits? You must be retirement eligible as of August 1st, 2012, and agree to serve an additional four years of service after that date. You would have been considered eligible for retirement on August 1st, 2012 had you completed 20 years of active federal service, or 20 qualifying years as computed according to section 12732 of title 10 U.S.C. Make Sure to Transfer BEFORE Leaving Service! Please note that transferring GI Bill benefits to spouses or dependents must occur while you’re still a member of the armed forces. You must make your transfer request, and the transfer must be completed, before you’ve retired, or otherwise left the service. And that too, is a very important point, because I get literally hundreds of comments a year from people asking how to transfer their GI Bill benefits to kids and spouses after they’ve already left the service. Who is Eligible to Receive Transferred Benefits? To be eligible to receive transferred GI Bill benefits, your spouse or dependent children must first be enrolled in the Defense Eligibility Enrollment Reporting System (DEERS), and they have to be eligible to receive the benefits at the time your transfer request is processed. Meaning, if you put in a transfer request, then divorce your wife before it’s processed, she won’t be able to receive the benefits. Also meaning, if you put in a transfer request, but your kids haven’t yet signed up for the Defense Eligibility Enrollment Reporting System when it comes time to process it, then they won’t be able to receive the benefits either. There are a lot of pieces to the transfer process that must fall into place at the right time; so be sure to pay close attention to the rules, make sure you handle everything appropriately, or you’ll end up losing out on tens of thousands of dollars in financial assistance. How Do You Initiate the Transfer of GI Bill Beneifts? To transfer GI Bill benefits to your spouse or dependent children, you must use the Transfer of Education Benefits (TEB) website while you’re still a member of the armed forces. Remember, once you’ve left the armed forces, you’ll still be able to change the future effective date of a Transfer of Entitlement request, modify the number of months you want transferred to any particular spouse or dependent child, or revoke entitlement to benefits, but these can only be accomplished by submitting a written request to the Veterans Administration. And, again, you will NOT be able to initiate a new benefits transfer. Transfer requests MUST OCCUR before leaving the service! What Does Your Spouse or Dependent Child Need to Do to Receive Transferred Benefits? Please note that your spouse or dependent child should only complete this form after you’ve request for Transfer of Education Benefits has been approved by the Department of Defense. If they fill this form out and submit it before your TEB request has been approved, it could lead to a paperwork nightmare. How Have Benefit Transfers Changed with the Forever GI Bill? The Forever GI Bill introduced the first improvements to military education benefits in nearly a decade, and perhaps the best part of the new Forever GI Bill benefits package was the way that it updated guidelines and rules for transferring military benefits. Under the previous rules of the Post 9/11 GI Bill, benefits transferred to a spouse or dependent had to be entirely sacrificed if that person died, but with the Forever GI Bill, it is now be possible to transfer benefits a second time if the original recipient of the benefits passes away. Also, anyone who receives benefits is now eligible to transfer them if the veteran who originally earned them passes away, meaning the recipient can choose their own new recipient to receive the benefits. And while these rules only apply to limited numbers of people, it’s the first time it’s been possible for veterans to transfer their benefits after leaving the military, or posthumously, which is a good step in the right direction for making it easier to give benefits to those who really need them. GI Bill transfer rules state that children designated to receive benefits will remain eligible regardless of whether or not they get married themselves, but keep in mind that you do retain the right to revoke or modify the transfer of your benefits to your child at any time (by writing the VA). Once you’ve been approved for transferring GI Bill benefits to your spouse, that spouse will remain eligible to receive your education benefits even if you two get divorced. 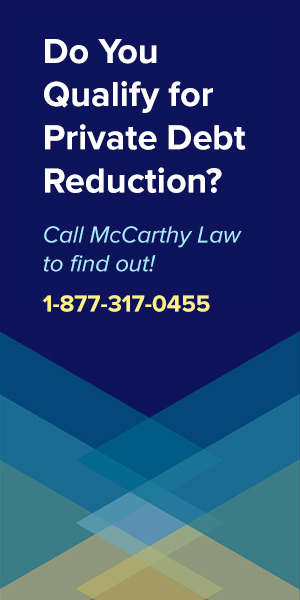 However, keep in mind that you can still revoke or modify the transfer at any time, including after you’ve been divorced, or during divorce proceedings. GI Bill benefits are great for both spouses and dependent children, but the rules governing their actual usage by each type of dependent are different, even though the process of transferring them is identical. Where Can I Access the Official VA Details on Benefits Transfers? To get the rules straight from the horse’s mouth, be sure to visit the VA website, the DOD website and the Transferability Fact Sheet. How Can I Ensure I Get Maximum Value from My Military Education Benefits? Find out how to save tens of thousands of dollars in education costs by visiting our Guide to Military Education Benefits, where we’ll teach you how to maximize your benefits with the Yellow Ribbon Program, Military Tuition Assistance, Military Student Loan Forgiveness and other Military Spouse Benefits. Your service has earned these benefits, so be sure to put them to good use! If you or your dependents already have student loan debt, and want help getting rid of it, then you’ll want to look at the Guides I’ve developed to help people eliminate their student loans. These Guides will teach you everything you need to know about dealing with your student debt, walking you through each part of the process and explaining how to maximize your chances of getting out of debt quickly and affordably. If you still have questions about any part of the student loan process, please do feel free to post them in the Comments section below. I review Comments on a daily basis, and will do my best to get you an answer as quickly as possible! If this page helped you to better understand how GI Bill Transferability works, then please consider helping me out by sharing it with your friends and family on Facebook, Twitter, or by posting it to Reddit, or emailing it around! The more people that find out about this site, the more time I can dedicate to writing content just like this, and helping people just like. Thank you for your support, and please be sure to visit again soon for updates. I transferred benefits to my children and wife many years ago. I since have divorced the wife and now about to remarry. No benefits have been used yet. I have only 6 months left in the military. Can I add my new wife on the GI bill? Good question D! You better talk to someone at the VA. You MIGHT be able to revoke the transfer to the ex-wife, and reassign the benefits to your new one! I am retiring 30yrs active duty 01 June 2019. I obviously have served more than 10yrs active duty and I can not serve anymore because I have reached my retention control point (RCP) and it’s time to retire. I was told by VA that since I can not reenlist for 4 more years I cannot transfer my GI BILL to spouse. I can’t reenlist because army policy won’t allow me to reenlist any further. Is this correct? Is there anything I can do to appeal this? So because I got married late in my career I missed out on transferring? Thanks. That sounds like a pretty bad situation – I would have thought there’d be ways to prevent this from happening to people who have completed so much service. I am not entirely sure where to go from here though. If the VA is telling you it can’t be possible, that’s going to be a pretty big road block since they basically write and enforce all the rules. I would try contacting someone else at the VA and seeing if you can get a second opinion. I’d also try contacting your local Member of Congress, and both of your State’s Senators, because sometimes they can do things to help move the needle. Don’t give up! You deserve to be able to transfer those benefits! Hello, I stumbled upon your site/blog, and have a unique situation. I have a case pending before the Board for the Correction of Military Records. Long story short is that my service component recommends the board approves my appeal to back date when I applied to transfer benefits to my dependents in order to meet the eligibility requirements. I was denied the request initially; however, I did attempt to give each dependent 1 month of my benefits BEFORE I retired. I just don’t know if that transfer is valid since I was initially denied. I have now been retired for 4 years. Given the fact I attempted the transfer BEFORE I left active duty, will I still be able to make the transfer once the decision is final? Good question – if you made the request before retiring, then I think it’ll work out, but it all comes down to the VA/DOD’s interpretation of events. Wish I could give you a better answer, but it’s really up to them. 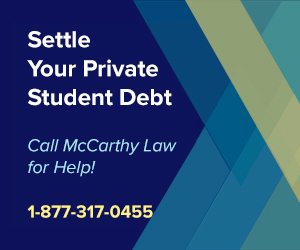 One thing you could try is contacting the Student Loan Ombudsman Group, which is a group of Government-backed lawyers who handle student loan-related cases for free. They may be able to help advocate on your behalf. I retired as a LtCol and had applied for a transfer for my son and wife while on active duty. I served 3 of the 4 years required but was forced out after 28 years. is there a clause that allows me to complete the transfer? I filled out all the paperwork and was approved for the transfer just could not finish all 4 years. Thanks for the help. I’m not sure if this will work… being “forced out” may have killed your eligibility. I would contact the VA or DOD and see if anyone can give you a straight answer. I think your case falls in a legal grey area. My ex is near retirement. He’s been active duty for almost 30 years. He hasn’t done the paperwork to transfer the GI bill to our kids. Is it too late? If he’s still active duty then it’s not too late! Make sure he takes care of this BEFORE he retires though! I am an Air Force veteran and have already used my GI bill. Am I able to use my husbands GI bill for a Master’s degree? Yes, if he transfers his benefits to you, then you can use them! I am an Air Force veteran and have already used my GI bill. Am I eligible to use my husbands GI bill for a Masters degree? I am a disabled veteran I was medically discharged for injuries occurring in Afghanistan NOT medically retired do I qualify to be able to transfer my GI Bill to my spouse and children ? This is kind of tricky. You’re supposed to have transferred everything before being discharged, but sometimes it’s possible to get approval after the fact too. I would pursue this with the VA or DOD and see if you can get someone to assist. Might also want to try calling the Student Loan Ombudsman Group, a group of attorneys who are backed by the Government, and who offer FREE legal advice on student loan-related issues. They may be able to assist you in this case. Hi, my husband and I are divorcing. He wants to give me his gi bill, so I can provide for myself and my kids. Will I receive BAH housing with the GI Bill? Neither of us and find this information. We see that spouses will not receive BAH while the active duty member is still active, but that specifies for spouses, not divorced spouses. Thanks! BAH benefits are a little confusing when it comes to who gets what, and especially when we’re talking about active duty vs retired, still married vs divorced. I’m honestly not entirely sure how it would work in your case, so I’d recommend contacting the VA to get an official answer from them. I think you’ll still be eligible for BAH, but I don’t want you to make any decisions based on my non-official advise. Please make sure to ask the VA for verification. Hello, has anything been done regarding the veterans that retired prior to Aug. 1, 2009? My ex husband served 20 years, did two tours in Iraq and retired on Oct. 1, 2008. We have two college age daughters and they were entitled to nothing because he retired 10 mths before the post 911 gi bill eligibility date. Its terrible. Please pass these comments along to anyone that can help do something to change this. It’s so unfair. As far as I know nothing has changed, and I agree it’s a terrible situation for people like you guys. 20 years of service definitely deserves access to the same benefits that people only putting in 6 years are receiving. Keep watching and keep your fingers crossed! So when my husband retired in 2009 with 12 years Air Force active duty plus 20 years Air Guard, he wasn’t aware of this program. He was a fire chief at the Bagdad Airport when we went over there in 03. So he should have qualified. He’s now 60 and getting his pension. Is there an relief if this information was not in your retirement package? We didn’t even know about it until we started looking for scholarships for our daughter this year. Unfortunately, I don’t think you’ll be able to do anything about this. It’s basically left up to the service personnel to figure this stuff out, and while I don’t agree that the system works well, that’s the way the rules have been written and how the benefits get applied. Hi I have a question. My husband was active duty army from 2008-2011. He then rejoined the National Guard in 2015. He recently re-enlisted in the Guard for another 6 years. We got married this year in 2018. Is he able to transfer his GI Bill to me as his spouse? I keep seeing that it needs transferred while you are active duty. Is his current National Guard status considered active duty? Yes, the rules on transferability are that benefits must be transferred while on active duty. I don’t think his National Guard status will be considered active duty, since it sounds like his benefits are tied to Army service, but you could check with the DOD or VA to see? It’s worth looking into! I served 9 year 7 months of active duty from 1997 to 2007. I then served as a traditional air national guardsman until I was medically physically disqualified spd: jft , honorable Oct 2013. I already had transferred my post 911 gi bill to my son in 2011 but since I was medically unable to complete the 4 year commitment, will he still be able to use the transferred post 911 gi bill is shows as eligible for once he starts college next year? He will be a senior in high school this year. Thanks. You need to contact someone at the VA or DOD for confirmation on how they’ll rule in your case. I think he will still be eligible, but if he isn’t, they’ll demand that you repay them for any funds that got spent which shouldn’t have been available. Don’t take this lightly, you need to go to the source and get an answer from VA or DOD itself to be certain that it’s correct. Make sure to get their response in writing too, just in case some argument emerges later and they try to wiggle out of responsibility. I’m a dependent of my step-dad and he transferred his benefits to me about 2 years ago. I’ve been receiving them ever since. My mom and step-dad have also been separated during this time. My step-dad wants to still give me those benefits but doesn’t want me to lose them if they divorce. Is this a possibility or can they divorce with no issue and I can still receive the benefits? Good question and unfortunately I’m not sure how this will play out, but I think that even if they divorce you’ll still be eligible to receive the benefits. I would contact the VA or DOD to make sure that this is how it’ll work, however, because I don’t want to steer you the wrong direction on something this important. You could also try looking up the Student Loan Ombudsman Group and asking them for clarification, they’re a free, non-profit, Government-backed service of attorneys who offer student loan advice. Google their name to find their contact info. seems to imply that her additional four year commitment can be served _concurrently_ to her existing commitment (since she’d make the election five years before her expected exit date). Is that correct? Can we transfer the benefit to our kid without extending her existing commitment? I would suggest that you contact someone at the VA or DOD to ensure you’re reading the rules correctly. I’m not going to offer advice on this because it’s difficult to interpret some of the eligibility conditions for these programs, and occasionally they make rules changes without alerting all of us. I hope that your reading is accurate, but I would make dang sure before counting on it and making any financial plans! I am active duty and have already transferred benefits but they have not been used. If I want to cancel it and separate from active duty am I allowed to do so? Yes, you can revoke a transfer at any time before leaving service. I have a question with regards to the Active Duty Service Obligation (ADSO). I am looking to separate and join Title 32 AGR. I have a requested release date which is only a month or so before my transfer ADSO is up and I am anticipating them denying my request to separate. None of my dependents have used the benefit. I believe that I should be able to transfer it to the AGR position, but I am not willing to risk the job for the benefit. If I revoke the transfer does that clear the ADSO? If this possible can you point me to the regulation, CFR, or other document that would spell it out for me? Thank you! I wish I could answer this question for you, but it’s a little too specific for me. What I’d do is contact DOD/VA, or even consider asking the Student Loan Ombudsman Group for assistance. This is a group of lawyers that work for the Gov’t and who offer free legal advice on student loan-related topics. They MIGHT cover your question if you ask nicely! If your spouse used benefits then yet you will owe them. Will those 15 months that were used, will he have to pay back the tuition and the housing money back or just the tuition? If Housing was part of the money transferred over in benefits, then it’ll have to be repaid too. It depends on where those benefits came from. Question I really haven’t seen answered. I’m right at 6 years so can transfer the benefits to my wife and incur another 4 year commitment. If we were to have kids later on (next couple of years) can I do another transfer of benefits to them (once added in DEERS) without incurring another 4 year commitment (basically is the 4 year commitment a one time thing) as long as I transfer them the benefits before leaving active duty? Sorry if this double posted. Great question! I wish I knew the answer to this, but I am honestly not entirely sure. I think you’d be able to transfer the transferred benefits later without another commitment, but I’m not 100% on that. I would send this question to the VA or someone at the DOD for verification before making any decisions. I did my transfer in the early days of being able to do it. At that time you had to have 10 years of service before you could transfer. It made it more of an incentive to get people to stay for retirement because you would have more than 14 with the transfer. The other part even the VA couldn’t give me a straight answer. I was done with having children, but they recommended doing 1 month initially for everyone that might use it, then I could always add months to those that would be actually using it. Any answer to this question? I’m wondering the same thing. I transferred benefits to 1 dependent but we plan on having another child in the next couple of years. Am I able to get them some months as well and if so will I incur another 4 yr commitment. Try asking someone at the VA or DOD, or contacting the Student Loan Ombudsman Group. This is a free, nonprofit, Government-backed group of attorneys who offer legal advice related to student loans, and they cover military benefits as well. Google their name for their contact info. I think the way this will work is that you can transfer PART of your benefits to your next child, without any additional commitment, but because this is a huge financial decision, I want you to verify that with someone official from VA/DOD or the Ombudsman Group. I have a retirement date of Dec 1 2018, but my HYT is Apr 19, 2019. Can I transfer my GI Bill to my son since I have 23 years of service? Ask DOD or the VA. I don’t want to steer you the wrong direction. The Housing Allowance will be provided at the same rate as you’ve divided your benefits for them. I’m assuming you transferred your benefits to them, and you probably did it equally? 50/50 split? If so, they should each get 50%. My active duty father transferred his post 9/11 GI Bill to me but wants me to direct deposit the monthly housing allowance to his bank account, even though I will be living with someone else while attending school. I already completed the online form with my account information, but he wants me to amend it. Is that allowed? Is the MAH intended to go to the student? If I agree to his request can I get in trouble? I don’t think you can get in trouble for this, but I’m honestly not sure. It almost seems like some sort of kickback situation, where you get part of the benefit, but he’s taking the other, when he maybe shouldn’t be? I think you’re going to need to speak with a VA or DOD official to find out how this works, and whether or not it’s legal. I’d be careful about how you bring it up with them. Maybe say that you read online that someone else was doing this, and you wanted to do it too to help your Dad out, and see what they think about it. Don’t say “Here’s our plan…” because then if you’re not supposed to be doing that… they’ll nail you on it. If I get divorced after I retire, and then get married, can I transfer my benefits to my step-children or spouse? Good question Marcia. I don’t think that would work because the rules state that all transfers need to occur before separating from service. My now ex-husband had transferred his GI Bill benefits to me prior to our divorce being filed. Within the divorce decree, I was awarded to keep the transferred benefits to complete my education. Once the divorce was final, he revoked them. Since those benefits were transferred and by court I should have retained them, what are my options for having them reinstated? I think you need to speak to an attorney about this, as they should be able to help you get this squared away. Short of paying a lawyer to go through the legal parts of the process, I’m honestly not sure what else you could do. It seems like he wouldn’t be legally allowed to revoke the benefits if they were offered to you by Court Order, but perhaps they don’t check for those things when processing the paperwork? My husband and I have legal guardianship of my teenage sister. We have taken care of her for a couple of years now and she is his legal dependant in DEERs. We understand how the transfer process works but we just have one question. My husband will be hitting his 6-year mark this year to make the transfer however he will not hit his 10 year mark until her Senior year in college. Is there a waiver that will allow her to use the GI Bill despite not having completed his 10 years yet? Since we can not use the bill to repay any student loans she would accrue we are just trying to figure out the most affordable way for her to attend college since we are still a younger couple and have not had the opportunity to save enough for her college. Her plan is to attend medical school after college. If we are unable to use the bill for her bachelor’s degree are we able to use it as she goes on to get her medical degree? I actually ended up asking two questions. Thank you for your time! Unfortunately, I don’t think you’re going to be able to make this work because of the way that the rules are written with the 6 year and 10 year eligibility considerations. I DO think you would be able to use the benefits against a Medical Degree though, so not all is lost. 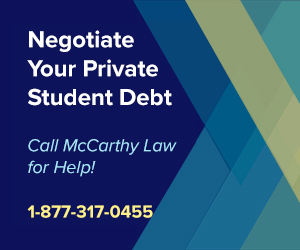 My advice to you would be the contact the Student Loan Ombudsman Group, which is a Government-backed group of attorneys who offer free advice on student loans and student loan-related issues. I think they would be able to answer you question about transfer benefits, or at least put you in touch with someone who can answer it, with authority. Good luck! And please let me know what you find out so I can share the info with other readers! No one has ever asked this question before, but I’m sure others have run into it too! I have 12 years in the Reserves, I have been out 6 years. I am speaking with a recruiter about going back into the Reserves. Once in I plan to transfer my post 9/11 benefits. Will this be a problem? Once back in, you should be able to transfer your benefits. I would verify this with the VA before agreeing to sign the service contract though, and if I were you, I’d force them to put it in writing in your contract as well (so no one can later say… “You can’t do that”). If I transfer my post 911 benefits to my child and he elects to go into a STEM field in college, does he qualify to receive the additional 9 months/$30,000 from the STEM Extension in the new Forever 911 Bill? That is a dang good question, and I wish I knew the answer to it. I am not sure if that particular provision transfers over to dependents, or if it’s limited to service members themselves. You’re going to need to ask the VA about that one. Please come back and let me know what you find out though! I’d love to add a section into my post covering this because it seems like it could apply to lots of other people as well! Hi, My husband is in the national Guard and is transferring his gi bill to me so I can go to school. My question is, will I be able to get MHA? I’ve been reading up on it but haven’t found a clear answer. Good question Erin. The documentation on National Guard benefits is far less clear than for the other service branches, and I’m honestly not sure. I think you’d better contact someone at the VA for a clear answer. Let me know what you find out so I can share it with my readers! I also have a question regarding national guard. I’m currently active duty Army, on a 6 year contract, and would like to switch to National Guard for 4 years once my active contract is done. Would I be able to transfer my GI Bill to my wife even though I’d be going into the Guard? Also is the answer the same or different if I were to switch to the reserves instead of the guard? Thank you! Sorry, but this is a little too complicated for me. The technical details of these programs are not well publicized, so you’ll have to get with someone from the VA or DOD to confirm how the transfer from Active Duty Army to National Guard would work. I am honestly not sure if that’s going to work out for you, because each branch offers their own benefits, and they aren’t always identical. Good morning, I have a MHA question. If myself and my spouse (not military) used the post 9-11 gi bill after my actice duty, would we both receive an MHA payment based on our zip? Hi, Can I (spouse) use my transferred Post 9/11 GI Bill benefits while my husband (active duty Army) uses tuition assistance? I’d like to go for my master’s and he’d like to go for his bachelor’s. Also, the master’s program that I’m interested in takes 2 years to complete, but the school allows up to 5 years. If my husband transfers 36 months of benefits to me, does that mean I have up to 36 months to complete the degree or is there a monetary cap associated with the 36 months? For example, as long as I finish my degree in 5 years and the cost of the degree is no more than x dollars, the VA will cover absolutely everything. Hope my questions makes sense. Thanks! I think you can both be using those programs at the same time, Military TA and Transferred GI Bill benefits, because as far as I know, they’re not mutually exclusive, but you’d better check with the VA before starting because if that’s not true, you’ll be hit with a bill at the end of the day. On the months part, it’s not that you have 36 months to complete the degree, but that you can apply 36 months worth of benefits toward the degree before they’ll stop funding you. So… you don’t have to finish the program in 3 years, but you can only get 3 total years of coverage on the costs. And yes, there is a monetary cap on how much money Post 9/11 GI Bill and Forever GI Bill benefits will cover, so you need to sort through that and figure out if it’ll cover the full costs of your program. If it doesn’t, there are all sorts of grants and other financial assistance programs created to help fund costs that weren’t totally covered by the standard Military Education Benefits package. Look into programs like the Yellow Ribbon Program for details. I have been in the national guard for 9 years with 2 deployments. I transferred 36 months of benefits to my wife so she can go to school in 2015. She is still not through with school and November 2018 her 36 months is up. I was wandering since I will never use any of my benefits, am I able to transfer to her my 36 months? Yeah, if you’ve still got 36 months of benefits left and you’re still in the service, then you should be able to send those on over to your wife as well. Just make sure you take care of this BEFORE separating, as everything has to be done and finalized BEFORE you leave the service. Oh ok, so even though she has already used almost 36 months, I can transfer the remainder to her. Hi, I am retired military and have transferred the GI Bill benefits to my children. If for some reason, they fail to complete the class and if it comes to it who would be responsible to pay the VA benefits back? Me or the child who failed to finish the class? That’s a good question and I’m fairly certain that it would be on them, but you may want to check with the Student Loan Ombudsman Group. Google their name and give them a call. They’re a group of free, Government-backed attorneys who provide advice on complicated student loan issues, and this is near enough that I think they could advise you with an authoritative answer. Hello! My husband has transferred his benefits to our four children equally. Since then we have had a fifth child. Can he add the fifth child easily without incurring another 4 year commitment? I can’t find the answer anywhere. Thanks for your help! He should be able to, as what will happen is the benefit will be further divided between the five kids. He doesn’t get more money; each kid receives less, and I don’t think that will require an additional service commitment. I will be EASing at 8yrs 11mths from the marines and than enlisting into the Air Force reserves. At which point in this process can I transfer, if at all. And if not would going marine reservist without a break in service work (Direct affiliation program). This is a little too complicated for my knowledge, so I would ask someone at the DOD or VA how this all works. I think you need to transfer ASAP, before you move to the Reserves, because GI Bill Transferability Rules state that everything is supposed to happen BEFORE separating from the service. This is a little above my pay grade in terms of complications… I think it would probably work, but I’m not entirely sure, and I definitely don’t want to steer you the wrong direction. Try contacting the Student Loan Ombudsman Group to see if they can offer advice here. They’re a Government-backed FREE legal advisory group that offers help on student loan-related topics. If they can’t help, you’ll probably be stuck using the VA or someone from the DOD as a resource, which is never an easy thing to sort through. Hello , my husband is coming up on the end of his 4 year re enlistment and is being medically retired , will he be able to transfer his gi bill to myself or our children since he will not be agreeing to re enlist ?! You need to contact the VA or the DOD to find out for sure. Because he’s being Medically retired, you may still be eligible. I am the child of a veteran and I was wondering if I chose to go to a college out of state could I still use the GI Bill. Many variables determine whether or not you can. You need to read the full post on Transferability rules to see what’s required. So under normal circumstances a member with ten years of service who decides to transfer GI Bill benefits is still required to serve an additional four years? There would have to be special circumstances that prevent me from committing to four more years of service to be an exception? Great article. A question for you that I’m hoping you might have insight on. I transferred my benefits to my wife and she’s currently in the middle of a program collecting BAH. I’m a Reservist and am being involarily mobilized. Will this disqualify her from receiving BAH? Thanks in advance. Good question Josh and I wish I knew, but this is pretty technical. I think you’ll need to ask someone at the VA because I’m just not sure how that works. I was medically retired in 2016 from combat-related injuries after 8 years in service. Will there be any way to transfer my GI Bill to my children even though I am retired? Was that thought of when the “forever GI BILL” was released? Thank you for your help! Technically, I think you will be out of luck, because benefits transfers are supposed to be completed before separating from the service. HOWEVER, if I were you I’d contact the Student Loan Ombudsman Group to ask them if they can help you find a way to make this happen now. 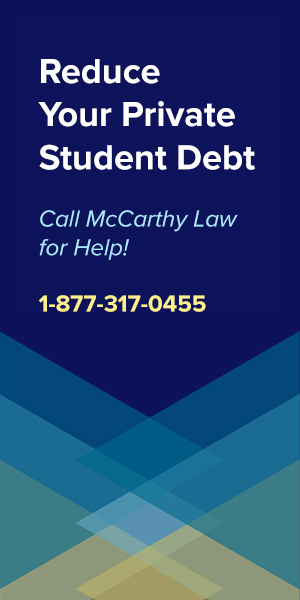 This is a free service of Government-backed attorneys who advise people about Federal student loan and student loan debt issues. I think your question will fall under their purview, so I’d reach out to them. Google “Student Loan Ombudsman Group” and you’ll find their contact information. Haven’t been able to find an answer. Can mil to mil both transfer benefits to one child effectively providing 72 months in benefits? That’s a dang good question. I have not read anything about this being allowed or not allowed, and my thinking is that since it isn’t specifically forbidden, you can probably do it. You should check with the VA though. I retired back in 2010 and was asked about the GI Bill when I was out-processing and I told them that I wanted to give it to my dependents. Now, I’m checking on the MYBenefits web site and it says the GI Bill is only in my name? I thought they also gave me some paperwork stating that they were suppose to give my dependents the GI Bill but I haven’t been able to locate it. By the way, if there was paperwork that may have been lost in my last move because the movers lost a lot of my stuff in the last move. Is there anyway I can prove that I had selected them to receive it? Good question Michael. I would take this up with the VA, DOD, or by contacting the Student Loan Ombudsman Group, who MIGHT be able to help. This is a group of Government-backed lawyers who offer advice on legal matters related to student loans, and I think that military benefits fall under their expertise as well. The nice thing about the Ombudsmen is that they’re free. Google their name for their contact info. Well I’ve just been informed that while I’m hitting my mandatory retirement date I’m not eligible to transfer my education benefits to my children anymore because I can’t serve an extra 4 years. I’ve already done 22 years and 9 months with over 20 years of active federal service. I can’t do anymore. And nothing was mentioned about this change in my separation classes not pushed down from my chain of command. So yea, looks like a big step backwards to me. Thanks Trump and your administration for not letting me use what I’ve earned for my children. Unless of course I die now. Yes, that’s the rub isn’t it. I literally have to die now to let my kids use the benefits if they need it. Thank you for your service, and before you give up, please try contacting the Student Loan Ombudsman Group to see if there’s anything that they can do to help. 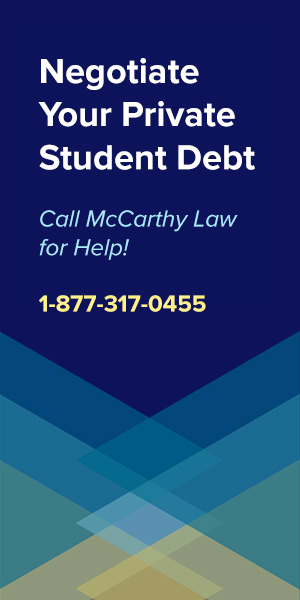 This is a free, Government-backed group of Attorneys who step in to help when there are complicated legal issues related to Federal student loans (and Federal benefits), and they may be able to find a way to assist you in getting Transferability options for your kids. Google their name to find their contact info, and good luck! Do you have any information if mandatory retirement exempts you from the additional service time? I don’t know about that. I’d check with someone at the VA or DOD. I believe u are still good (I’m in a similar situation) as there is a caveat that u don’t have to serve all 4 years (just however much u can) if u separate due to standard operation policy (ie MSD, age 60, Medical, etc) just can’t ‘voluntarily’ separate. Do ur due diligence but it’s all in how your separation is coded. SSH Holeyfield did you find out anything? Also John Renard, where did you read this caveat, I am in the same boat of 22 years 6 months served. Do you have any additional information on this? We are in the same situation with the mandatory retirement date prior to the 4 years. That is not true. I transferred my benefit 4 months before mandatory retirement and it was approved. Mandatory retirement exempts you from the additional service time. But if you requested to retire and were not told to retire, you are out of luck. Thomas – Can you please let me know who you received an approval from? Contractor, Manufacturing Engineering Systems, Inc. This seems like a completely unfair rule for someone who is being made to retire with the MRD. My husband transferred to me, and I finished with my school recently. Due to medical reasons, I graduated about 9 days after my contracted graduation date. The school is charging me now, and says the VA won’t cover the portion that went over because it was past that date. Is this true? Is there a way to have them cover it? 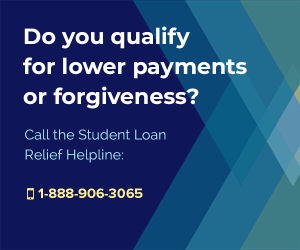 Call the Student Loan Ombudsman Group and see if they can help advocate on your behalf. This is a group of free lawyers who work for the Federal Government, and support Student Loans issues. Google their name to find their contact info. I recently found out I am going to be medically retired with less than 10 years of service. However, is it possible to transfer your education benefits because its a medical retirement and was no longer able to serve due to medical issues? Thank you very much for your service, and I wish I could answer your question, but I’m not totally sure. I think you’ll need to ask someone up your chain of command to sort this out for you. It’s not going to be easy to get an answer, but start asking around and someone should be able to figure it out. My brother-in-law who’s an officer that is nearing retirement and isn’t married, and has zero children wants to transfer his GI-Bill to my children, They are military dependents because their father and my husband is active duty as well; can this be done because they’re military dependents? No, that won’t work. You’re only allowed to transfer benefits to your OWN Dependents. I was gifted a GI Bill from my ex husband, while we were married. I used the GI Bill between the years of 2009-2012 and graduated. I recently received a notice of a $28,000.00 repayment. I do not understand this due to this being gifted to me. No different then someone giving a gift card and once it is spent asking for it to be given back? I contacted them and they are telling me that my ex did not complete the commitment he made to the military so there for I am responsible for the repayment. I do not feel this is just, how was I suppose to know what my ex is military responsibility was and whether or not that responsibility was met? Why is he not being held accountable for this? I never signed anything, nor was told that if the commitment was not kept I would have to pay the money back. I also do not understand why I am finding this out now, when while in college I worked with the VA at two separate schools in two different states every semester and there were no issues or concerns. I do not feel this is my debt to pay. Any advice would be helpful. Thank you! Unfortunately that’s the way this program works. There are no free lunches, and if your ex didn’t complete his service then he doesn’t qualify for the benefits, so those benefits he tried to transfer to you don’t go into effect. I think you’re only hope will be trying for a Borrower’s Defense Against Repayment Discharge, and seeing if you can figure out a way to pin this on the school for some sort of false advertising or false promises, or a failure to fully inform you about the risk of using military benefits that haven’t been fully vested yet? I’m not sure what would work in this specific case, but it’s worth attempting. 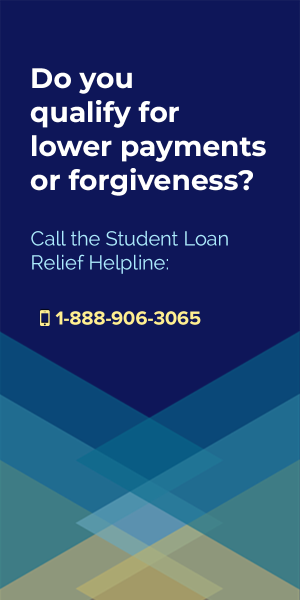 Your best bet is to call the Student Loan Relief Helpline and ask them if they think you can come up with a valid Borrower’s Defense case. If you can, they’ll be able to help you put it all together, and their fees are much lower than $28,000 (typically a few hundred dollars), so it’d be well worth it to pay them for assistance if it successfully gets your loan discharged. Me and my brother were both enrolled in college and received benefits from the post 9/11 GI bill. When we enrolled my dad said he would handle all of the VA stuff for me (as a college kid I was like “Okay, cool. Less work for me. ), but as it turns out my dad put his bank account information in and pocketed all of my BAH and book money (without my knowing). I only found out after 2.5 years that all of this was happening when a rep from the VA department asked if I had received my checks okay. Confused I asked her more about it and after finding out the details I confronted my dad. He said it was rightfully his money because he was the one who worked for it? He has since refused to give me the money and has threatened to take away mine and my brothers GI bill’s if I try to change the bank account to mine. Could you assist me in anyway? Is this legal? If not, who should I talk to for help? This is insane… your father cannot take away your GI Bill. You need to hire an attorney to get control of everything again. First thing you should do is call the Student Loan Ombudsman Group and ask them if they can help. This is a free service provided by the US Federal Government, and they help with legal issues related to student loans, which the GI Bill is related to, so I think they should be able to give you advice. Google the name “Student Loan Ombudsman Group” to find their contact info. Insane? Consider this – that is not “their” GI Bill. It is his and he has transferred eligibility to them. They should appreciate the transfer and less expenses that they are incurring. If they fight him, he could just revoke the benefit entirely. I too controlled the BAH and book stipend, which I was paying for my daughter’s expenses. That said, there were out of pocket expenses involved, which GI Bill does not cover, like her travel expenses, extra money as she needed, or just the normal costs that overrun, like books. Don’t give these guys bad advice. They are lucky to get this benefit and they should not try to fight him for money. My boyfriend is wondering the same. He is transferring his GI BILL to his daughter. All her schooling will be paid and of course she will get BAH PAY. The amount of money she will get each month far exceeds her housing cost. So he only plans on allowing her enough to cover her housing and books. He feels/knows that she will spend the rest of the money foolishly. He told her that if she argues the fact he will revoke the the GI BILL. We both know that this is being gifted but in our eyes this is something that he has worked hard for and she is privileged to have. I don’t think parents should get in trouble for this. I have 6 1/2 years active duty and am looking at a medical retirement. Will i still be able to transfer to my spouse before separation and her keep the benefits even if i will never reach 10 years? Thank you for your service, and great question. I think you’d better speak to the Student Loan Ombudsman Group and get a solid answer from them. This is a Government service offering free legal advice, and they should be able to tell you exactly what your options are. You can find them here. Please come back and let me know how it goes so I can tell anyone else who asks the same question in the future! I am in the same boat, were you able to find anything out? I transferred the Post 911 GI Bill benefit to my son and he is using it successfully. My Ex-wife and her lawyer are demanding my GI Bill paperwork and threating to file court injunctions if I don’t provide it. The benefit is working well between my son and I. My Ex-wife wants proof that I am not or am using the BAH portion has income. Can they demand that? I think you’d better consult with an attorney on this one. I am not sure if she has the right to demand access to that or not. It could be some sort of legal trick, but it could also just be a way for her to fish for getting more money out of you as well. I’d resist this unless someone says that you absolutely have to do it. One thing you could try is contacting the Student Loan Ombudsman Group. This is a free service provided by the Government, and they give legal advice on complicated student loan issues. Since GI Bill benefits fall under a similar category, it’s possible they’d be able to answer your question! My husband is currently serving his 19th year of active duty and our son will be a senior in high school. He will likely go to an out of state college as we have no idea where “In-State” will be when he actually starts. It’s a long frustrating story, but my husband only has one or two months of transferable post 911 benefits. We are wondering if my son uses those two months and receives the newer in state benefit (for out of state students) would he still be able to pay in state tuition AFTER those two months are used up. I think it’s going to depend on the school. Out of state vs. in state tuition is different in each school system (as each state’s system handles it differently) so it’ll probably depend on where you wind up living at the time he enrolls. You better get him into DEERS right away and try to handle this before he turns 18, or it may be too late. Get on it man! How does divorce affect the already transferred 9/11 gi bill benefit to a step child? I transferred the benefit to my step child long prior to divorce. Now that the divorce is final is she still entitled to the remaining benefit? She will be coming out of deers since no longer considered a dependent. She should still have access to the benefit since it was transferred previously. i served my ten years but had 2 years left and i was involuntary sep. and they rejected my approved post 911 transfer, mind you i already transferred it, now they wont answer my request to fix it. 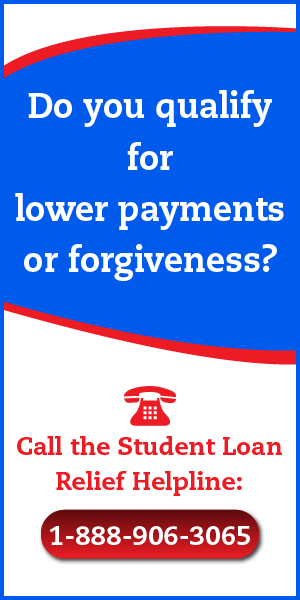 Contact the Student Loan Ombudsman Group. They can help you with this. My daughter has just been notified of a 39,000 debt with VA for GI Bill overpayment because dad failed to complete service obligation, Is this dischargeable in bankruptcy? That is a big time bummer… and exactly what I tried to caution people against in the copy of this post. You can only count on the Post 9/11 Transferability benefits working if the service member completes their service contract! It’s possible that she MAY be able to have the loans discharged in bankruptcy, but it’s not an easy process. For details on how it works, visit my page on Student Loan Bankruptcy Discharges. While I know that the bulk of the questions folks are asking are about couples, I have a question regarding a dependent child. My father was with the National Guard, and he had initially signed to serve additional years of service in order for me to utilize the GI bill transfer. However, he failed to complete his service agreement in early 2015, a fact that I did not know about until just a few months ago. I have been attending school believing that the GI bill would cover my tuition, but now I am in a situation where debt collectors associated with the US Department of Veteran’s Affairs are contacting me personally for repayment. While I understand that the debt exists, I am befuddled as to why I – not my father – is responsible for the debt. Do you have any insights into whether this debt should be in my father’s name as he is the serviceman who failed to complete his service? You took out the loans. Sorry to be so short with it, but that’s the simple answer. My fiance has served active for the last 3 years and received a Post-911 GI bill. He is currently using it for his diesel mechanic schooling. While in diesel mechanic school, he switched over to Army National Guard with a 6 year contract and received another GI Bill. I do not know which GI bill he received from National Guard. He does not plan to go to anymore schooling, but I will be going to graduate school soon. If I start school before we get married, could his benefits still be transferred after we get married? I am not sure how to answer this, so I’d recommend that you contact the Student Loan Ombudsman Group and ask them. They’ll definitely be able to help, and they will do it for free. Find them here. Before my divorce, my ex and I agreed that he will transfer all GI Bill benefit to me and also has provided proof of letter stating that if he did revoke the GI Bill during/after enrollment, he will have to pay the remaining balance of my tuition/stipend. Now that we’re divorced, I received a letter (certificate of eligibility) allowing me to go use the benefit. However, I was curious whether or not I will receive housing allowance. I just recently spoke to a VA representative to confirm whether or not I am eligible to receive housing allowance. They weren’t able to provide a 100% response. They said that if he is still currently active duty, I am ineligible to receive the housing allowance. They even mentioned that I shouldn’t be receiving the GI bill now that he and I divorced (no longer in DEERS). I am so confused. Then, I saw couple posts online saying that I can receive the housing allowance because I’m not married to the serviceman, therefore, I’m not “double dipping”, or I can’t receive the BAH regardless because he is still in the military. I don’t know what the real answer is, please shed light to this? If even the VA can’t tell you the deal, then there’s no way that I’m going to be able to clarify it. You need to find a way to escalate the question up the VA’s chain of command to get to someone who can answer the question for you. I am not that person. My husband did 23 years in the Army as a Flight Surgeon and retired as a Colonel. He served during the 9/11 timeframe. The VA is telling him that he did not sign up for his children to receive the transfer of GI Bill at the time of his exit from the service. His children were toddlers at the time. He doesn’t remember ever being asked nor does he remember waiving that right. He retired in 2007. Do we have any recourse? Our children are now at college age. I would recommend contacting the Student Loan Ombudsman Group to see if they can do anything to help. This is a free service run by the Federal Government, and they offer advice on student loan related legal issues. They’ll be your best bet toward sorting through the technicalities here. I’m in the same boat. 20 years in the navy, retired O-4. Can’t transfer because nobody told me I had to do it before getting out. Did you ever find a way to transfer eligibility? Thanks! My Post 9/11 GI Bill remaining months that I transferred to my son has been approved. He is currently in 9th grade but I recently found out that due to medical issues and PTSD, I am now undergoing the MEB process and will not be in the Service by the time he reaches college age. I saw this above, “Children may use transferred benefits while you’re still in the armed forces, or after you’ve separated from active duty” and I just wanted to make sure I was reading it right. Are there any stipulations? What if I do not get a medical retirement? Can you explain what would cause my son to NOT receive the transferred benefits? No, I really can’t answer this question for you, because I have no official position with VA, DOD, etc. You need to talk to someone over there and get some answers from them on this. I think you will be fine though. Transferred benefits don’t have to be used while in service, like my statement there said, so I don’t see any issues here. My husband is trying to transfer his GI bill to me (wife), he served for 6 years already and applied for another 4 years reenlistment since November 2016. But,until now his CWAY has not approved yet. He is not up to reenlistment until Feb 2018. Is there another option for him to transfer his GI BILL to me while waiting for his reenlistment or CWAY to be approve? My class was supposed to start January but it got pushed to April because of the CWAY approval. Contact the VA/DOD for assistance. Or, get in touch with the Student Loan Ombudsman Group (a free service provided by the US Government), to see if they can shine a light on this for you. My husband has transferred the GI bill to me, at 100% eligibility. He is currently serving in the guard after leaving active duty. Will I be eligible for BAH with his current status? I don’t know the answer to this – I would have your husband ask around. Can children who have benefits transferred to them use the GI bill for grad school vice an undergrad degree if they meet the required age limits? I think you should be fine in doing that. I’m not sure what the word “vice” means in this context, so it’s hard to tell what you’re actually asking, but I think the answer is “Yes”. Contact VA/DOD for verification. My two kids were both given a portion of the Post 911 GI Bill from their father. Will they both be able to receive the BAH pay at the same time since they’ll both be attending college at the same time? You need to get in touch with the DOD/VA to find out. The laws keep changing on BAH and there are all sorts of weird qualifying issues that get involved. If they’re both able to get BAH at the same time, it’ll be split between them (they won’t both get to receive the full amount). The days of “double dipping” are definitely long-gone, that much I can tell you for sure. I have already transferred some of my post 9/11 to my wife. Am I eligible to receive BAH the same as her, if I am not active duty? I’m thinking about transferring to the reserves. I think you’re eligible to receive whatever percentage of Post 9/11 GI Bill benefits you’ve retained for BAH. The laws have become a little murky here though, so you really need to speak to someone from the VA/DOD. I apologize about commenting on an older article, but I have a question I’m hoping you can help me with. My father transferred 33 months to me (his child) and 1 month each to my 3 step-siblings, he retired 2-3 years ago, and my 3 step-siblings are not going to use their allotted benefits, so he wants to transfer them to me. He tried using TEB to transfer, but it wasn’t working. You stated in the article that he must submit a written request to accomplish this – do you know if there is a specific form on the VA/milconnect website that he needs to fill out and send in? And do you know how I could find out where he needs to send the form/letter? I’m having trouble finding any information on this. I’m sorry, but I’m not sure where you could find that form or get this done now. I would contact the Department of Defense, the VA, or whatever service branch he was with to ask them directly. I do not think it’s going to be possible to get this transfer done though, as transfers are supposed to have taken place before leaving the service. BUT, it’s worth attempting, since it won’t cost you anything but time… good luck! I have already transferred my GI Bill benefits to my wife and children. If I were to pass away, would they still retain those benefits? But if you’re thinking about doing something to yourself, please call the Veterans Crisis Line at 1-800-273-8255. I do not think you’ll be able to transfer your benefits after retiring. Your only hope would be to contact the Student Loan Ombudsman Group and try to get them to lobby the military on your behalf. You can find their contact info here. I have used approximately 2 1/2 years of the 3 years my ex husband transferred to me from our divorce. I had no knowledge that he had to do an additional 4 years commitment or the benefits would be gone. Furthermore the troubling thing is that I am a former ITT TECH student and all of the campuses closed their doors. I have called over 30+ schools, most that promised to help only to find out they will transfer general eds only. The problem I have and my question is they are trying to say that since he did not fulfill his commitment I owe $50,000+ in debt!!!!!!! The federal government is offering student loan forgiveness, but for me they say I owe it and furthermore I have no degree and no money. Can they force me to pay meanwhile everyone else gets forgiven instead of making him pay? I WAS NOT TOLD NOR DID I SIGN ANYTHING saying I knew of this. Please help me. Not only did I waste 2 1/2 years of my life trying to get my nursing degree, but the GI BILL is trying to make me pay $50K when I can barely afford to live on my own. Thank you in advance. 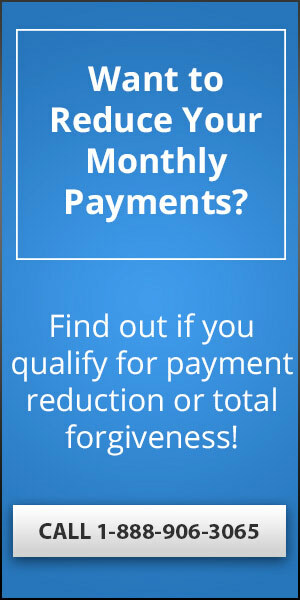 Visit my page on the the ITT Tech Student Loan Forgiveness Program, because there’s a good chance that ALL your ITT Tech-related debt will be forgiven. Also, contact the Student Loan Ombudsman Group and ask them for assistance in figuring out whether or not you are on the hook for this money. They’re a Government-based legal advisory group that can offer advice and assistance with tricky situations like yours, all entirely for free. I have the same problem. I found out they want me to pay back 45K for a degree I never would have started if it weren’t for the GI bill.. I see you wrote this in 2016, has anything come of it? My Fiance was honorably discharged after 6 years in the Army this past June. He wants to transfer his Post 9/11 GI bill to me. Would I be eligible for his GI bill benefits? I can’t answer that question for you – you’ll have to read through this page, paying close attention to the Eligibility Requirements. If he got out BEFORE transferring though, then I don’t think he’ll be able to do it. You better speak with someone from your Chain of Command and ask about the Transferability guidelines. They may have changed since I originally wrote this content, and I don’t want you to get stuck in a bad situation. You should be able to transfer your 9/11 GI Bill to your wife though. Transferability guidelines should allow you to give the benefits to any dependent (wife or child, or some sort of split between wife/child, or between children, etc.). I think you’ll be alright, but I’d like you to make sure before deciding how to proceed. My husband transfered his gi bill to me while he was still active duty. He is out of the service under honorable conditions. I know i could not get bah while he was active duty. However, i have gotten so many mixed answers about whether i will receive a bah benefiy now that he is no longer on active duty. Dear Sir, why was the post 9/11 bill changed on 2009. My husband retired in 2006. He went to his retirement class and was told his children would be able to go to college on his gi bill, now that he has retired we are now being told due to the law change our chikdren are no longer eligible for the transfer of benefits. My husband served 20 yrs from 86 to 2006. Just doesn’t seem fair that he was not informed or allowed to use these benefits. There needs to be a change in the gi bill rules. If you served you should always be able to use your benefits. We feel like we are being duped. I can’t answer why this change was put in place, but the way it works now is that benefits can’t be transferred after retirement. I would consider consulting with an attorney, or with the Student Loan Ombudsman Group (they are free) to see if there’s anything you can do to sue or apply for access to the benefits, since the law was changed AFTER your husband retired. It’s possible that it won’t apply to you specifically, and that you’d be grandfathered in under the old rules, and may still have access to his benefits. I am looking into grad school and my fiance has 4 years in the service. Can i start school now with student loans and he transfer his gi bill to me in 2 years (he plans to make the army his career so not worried about the additional time he would have to spend in the army) to put towards the payment of the loan when I will be almost done with school by that time? Thanks! No! You cannot do what you’re hoping to do. Military Student Loan Benefits are almost ALL about reducing the amount of money you’ll spend on higher education costs BEFORE they are incurred. You will not be able to have your fiance/husband transfer his GI Bill benefits to you, then apply to the student loan debt that you’ve accumulated RETROACTIVELY. DO NOT start spending until you’ve already had the benefits transferred to your name, and have made CERTAIN that they’ll be used to cover your costs. Can the GI Bill be used retroactively? Like after my fiance and I get married, can she choose to have her benefits be applied to my student loans? Absolutely not. In fact, most military education benefits (Post 9/11 GI Bill, Yellow Ribbon Program, etc.) can’t be used retroactively. If I’m remembering correctly, ONLY the Military College Loan Repayment Program offers any sort of retroactive debt relief. I am a drilling reservist. I have transferred some of my education benifits to my wife. We will both be attending school in the fall, different states. Will we both get BAH, or only one of us? I’m pretty sure that BAH goes to only one person? You’re going to need to speak to someone in your chain of command for clarification though. My served 21 yrs and 6 months in the US Army. Retired with an honorable discharge and our son can’t receive any educational benefits. This bill didn’t exist when my husband retired in November 2002. But this federal law cuts out our son’s eligibility for any federal educational benefits. I know there are thousands of other veterans children not eligible for Post 9/11 transferable benefits. Does anyone know of any groups fighting this bill? This is ridiculous to spent thousands of dollars every semester on tutition annual. All because my husband can’t transfer educational benefits that never existed prior to him retiring. How can I find out if my ex husband revoked my daughters transfer for eligibility. We had a verbal agreement he would designate it but now that she is heading to high school I believe he has redesignated it to another child or himself. Is there anyway to find out if it had been redesignated if she is only 14. I don’t want to find out her first week of college that it’s not there and would like to take legal action now since I have it in multiple emails that he would designate it to her as his contribution towards her college so I wouldn’t put a dollar amount or portion in our divorce degree. I would consult with your attorney on this one. They should be able to tell you how to proceed. I’m guessing they’ll serve him with a legal letter that requires he disclose the information, since it’s going to be important in determining the divorce settlement. My husband transferred his post 911GI bill to me but we are divorcing, will I be able to collect the BAH and the book stipend once the divorce is final? That will depend on whether or not he changes how he’s structured his Post 9/11 GI Bill benefits (he can revoke or change the beneficiary of the benefits at any time, as long as he’s still in the service), and on the conditions of your divorce. I am divorced from my ex and receive child support for our 17 years old. He transferred half his Post GI Bill to her and she is entitled to housing allowance while she is in collge. My question is will that take place of the child support I receive from him? This depends on the arrangement that’s created when your divorce proceedings are finalized. I can’t answer that question for you. You should consult with your divorce attorney to find out for sure. I’m in the Airforce. I was wondering if my girlfriend has the GI bill from her father and gets BAH and we get married and I start getting BAH will they take her BAH away? Or will she get her BAH from her fathers GI bill and I also get BAH from just being active duty living off base. Thank you. I think you’ll be able to both receive BAH pay at the same time, but I’m not entirely certain. You should ask around, or send an inquiry up the chain of command. 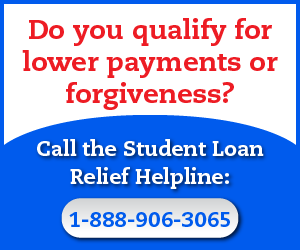 I’m an ex Marine who just got married in June 2015 my spouse have student loans is there any way that I can assist her in repaying the loan with a forgiveness program? Or any repayment program? Probably not, as the Post 9/11 GI Bill benefits and general military education benefits packages are all about preventing student loans from accumulating in the first place. There isn’t much in the way of forgiveness available, and that’s doubly so for the Marines. This branch of the Armed Services just doesn’t seem to value education all that much. My husband transferred part of his GI Bill to me and it was approved. However, before he and I were married, I had my own student loans. While I paid them for quite a few years, they ended up in default and went to collections. Will my default status prevent me from actually using his transferred GI Bill benefits even though the transfer itself was approved? I’m not sure… you should reach out to the Student Loan Ombudsman Group to find out. You can contact them here. Hi Im 24 years old and my dad was trying to transfer his GI bill to me however people are saying I am not eligible for the transfer I should’ve got it when I was 23. I am in school full time and I have tricare my dad is still active duty what’s the problem? That doesn’t sound right to me. You should still be eligible. Service members can transfer benefits to their wives/husbands, so why not a grown up child? I served 6 years on active duty in the Army. I am eligible at 100% for the Post 9/11 GI BILL. I am no longer on active duty or a reservist. I will be getting married in the spring of next year. I was hoping to transfer some of my GI Bill benefits for my future wife to use for a Masters degree. From what I’ve read, it looks like we would of needed to be married while I was on active duty. That seems a little silly. Am I NOT allowed to transfer some of my education benefits to my future wife? We would like to continue education in the U.K., therefore, I would only need to transfer two semesters (roughly 8 months) for a Masters. Unfortunately, I don’t think you’ll be able to transfer you benefits to her. According to my interpretation of the rules on Transferability, all that needs to be worked out BEFORE you leave the service. However, just in case… please think about contacting the Student Loan Ombudsman Group and asking them what they think. They offer free legal advice to anyone dealing with issues related to Federal student loan debt, and they should be able to help you out. Please come back and let me know what they say! I’ve sent lots of people their way and always ask them to report back the findings, but I never hear back! I’d like to get a definitive answer on the transferability rules so that I can update my site accordingly. Thank you for your service Robert! And good luck! bill to my daughter ( his step daughter ) while we were still married. She started college a month ago, now he’s threatening to take it away from her. I know he’s able even as a retiree to revoke the remaining months. But can he do this, even if she already started using it ? I would advise that you consult with an attorney. I’m not sure about the legalities here. My husband retired in 2011 and had switched his GI bill over to post 9/11 as instructed in his retirement briefing. He had NOT designated his daughter as the recipient of it. Can he now transfer his benefits to her? She is 19 and has completed high school. I don’t think he’ll be able to transfer his benefits if he hadn’t already designated them to go to someone while he was still a service member. Transferability rules stipulate that this must be done before service personnel retire. I would still have him try to use the Transfer of Benefits website and see if it’ll let him push something through. If that doesn’t work, then he should contact someone who can help from VA or DOD, but I think this is a long shot. It’s hard enough to get things done while personnel are still IN the military… doing it after the fact tends to be even more difficult. Sorry for the bad news, but good luck! Is it fraud for my friend’s father to allot the GI money to the son for a number of months, have tuition paid but then against the desire of the son, “take back” the other monthly allotment for housing and food and whatnot (coming out to thousands of dollars) as extra income for the father? His father considers it his own money but thinks the only way to access it is through his student children. I don’t think my friend would ever take any legal action, but I just want to know if that is acceptable and legal. You’d need to speak to a lawyer about this. I’m sorry, but I can’t offer legal advice. Hello, I have found a big issue/flaw in transferring the GI Bill. I am 100% ok with this process, but something is being overlooked. So, this argument has me so heated that my Congressman was contacted and feels it is a great thing to be addressed in D.C. I have been about from the military since 2011 and have 2 combat tours under my belt. I was medically retired after 7 years on Active Duty Army at 100% and permanent due to war. Now here is my issue. Many service members are still able to serve proudly and fulfil this re-enlistment option to transfer there GI Bill to spouse or dependent (something I wish I was still able to do). Remember the GI Bill expires 10 years after you are released from duty. That means if you don’t use it, you lose it. I am 100% disabled due to mainly mental health as well as a few physical limitations. Here I sit mentally disabled with a GI Bill that is going to go to waste. Why can’t I transfer it with being 100% permanent? I do not have a purple heart (that would give my child schooling), but I do know that may child will qualify for chpt 34 that offers roughly $600-$700 a month. It does not help with any tuition, books, and is just used as an allowance. This is something that I have brought up to my Congressman. I know that there are other people in my situation. Any input? First off, thank you for your service. Secondly, I think you should contact the Student Loan Ombudsman Group to see if there’s anything they can do to help you out. 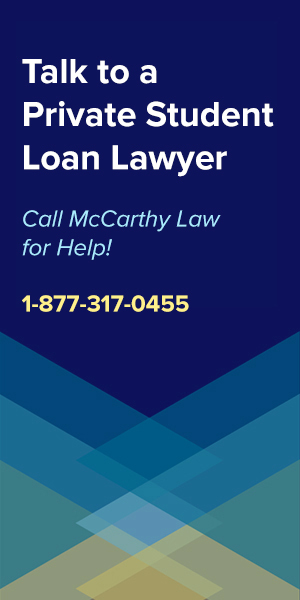 They’re like a legal watchdog service that helps people resolve legal issues related to Federal student loan debt, and they may be able to do something for you. You can contact them here. hi, My husband is in MEB process and only served 3years he doesn’t want to attend school but I do, is there any waver for him to transfer his GI bill even though he wasn’t able to serve 6 years which is one of the requirement to transfer.? The answer is no. If he doesn’t satisfy the eligibility requirements, then no, he can’t transfer his benefits. Second, the bad news is that you’re supposed to handle all the transferring before you get out of the service. You may be able to work something out, but I don’t think you’re going to be able to accomplish this. For additional information, try calling 1-888-GIBILL-1. My question is hypothetical, as I am trying to get a better understanding of how the bill can be transferred. If a person was to join the armed forces at the same time that they had a child, can the person transfer his benefits to his child when he has 10 years of service (and the child would be about 10 years of age at that time), or does he have to wait until the child is 18 before he can request a transfer? Basically I’m trying to figure out if you can transfer it to underage children when you have completed enough years of service, even though the children won’t be using the bill at the time of the transfer but a few years later, when they’ll be eligible. Thanks. I believe that you can transfer to underage children, but you should double-check that by contacting someone who can get you a for-sure answer. Call the DMDC/DEERS Support Office (DSO) at 800-538-9552 for details. The thing about these types of benefits is that they’re contingent on the parent completing their service agreement. If they don’t complete the service agreement, then any benefits promised to them by the Government get revoked. It may not be fair for the children to get saddled with the debt, but that’s the way the current law is written. I agree that it’s not fair though, and my vote would be that the parent who failed to fulfill their service contract should end up being responsible for whatever money was promised to the dependent via the benefits transfer. Yes, Please answer this question. This is the problem I face. Though I don’t think the service member should be responsible either because the DOD and the VA have been very very unclear about how the whole process works. My husband didn’t even know he was losing the education benefits previously transferred and used by me, his spouse, when he left. He served for over 10 years in the AF and was able to desperate by asking not to make major. Let us keep the benefits I say to the DOD. We would have done everything different to avoid this 45 thousand dollar amount the US treasury surprised us with, if we would have even suspected. And then in the future, would you please make sure the service members and dependents understand!! Hello, my fiance and I are looking into the transfer of his GI bill however we are unsure if we would qualify. I have an existing loan balance and he is no longer active in the air force. I am confused with the requirements. Would he have to re-enlist as a reserve in order to transfer the gi bill? Or would the gi bill not cover an existing loan balance regardless? As far as I understand it, it’s only possible to alter or revoke Transfer of Entitlement requests once personnel have left the Armed Forces. That means your fiance won’t be able to set up a new transfer, since he’s already left the service. However, it’s difficult to tell exactly which rules apply in each and every case, and it’s possible that he will be able to transfer his benefits to you, even after having left the service. What I would suggest doing is calling this number – 800-525-0102 – this is the phone number for the Air Force Active Duty career counselor, who should be able to fill you in on exactly what is, and isn’t, possible. If my husband who is in the reserves transfers his Post 9/11 to me, can he still use his Montgomery GI he received while on active duty? I may be misunderstanding the way things work here, but I was under the impression that it wasn’t possible to qualify for both the Post 9/11 GI Bill and the Montgomery GI Bill at the same time. As in, if you had access to Montgomery GI Bill benefits, but wanted access to the Post 9/11 GI Bill too, then you had to sacrifice your MGIB status to enroll in the Post 9/11 program. I would advise that you contact VA or have your husband speak with his supervisor to get an answer from an authority figure here, as I don’t want to steer you the wrong direction. Me and my ex husband were married 10 years and still on good terms. I have been reading about how Post 9/11 GI Bill benefits can be transferred to ex-wives as long as it’s listed in their divorce decree. Is that the only way that I could get benefits? Or can he still transfer them to me if he wishes, even after we are divorced? Unfortunately, your husband can’t transfer his Post 9/11 GI Bill benefits to you after you’ve been divorced. The stipulations state that these benefits may only be transferred to spouses and children, so as an ex-spouse, you don’t qualify for eligibility. According to my understanding of the rules, I believe you should still be eligible to receive the housing allowance. You’ll need to speak to someone with the VA to get a proper answer though – only they get to make those kinds of decisions. The Housing Stipend is based on the Service Members status. The ex-spouse of a service member cannot receive the housing stipend while the service member is on Active Duty orders. Only dependent children can receive the housing stipend while the service member is on active duty orders. So did you get this matter resolved through the VA? My GF is in exactly the same situation. My former spouse and I agreed to pay 1/3 of our child’s college education; 1/3 was to be paid by our child. There was also a weekly child support order, for a second child, of $200 that was ordered by the court at the same time. Within months of the acceptance of the final divorce decree, my ex reduced the child support by $100; thereby, making it financially impossible for me to pay both the 1/3 of my eldest child’s college expense, and provide financial support for my second child. Unbeknowst to me, my ex transferred his 911 GI benefits to my child, and paid my third from the program funds. He then filed a comtempt complaint against me, and is requesting that I pay him the monies that were used to cover my third by the 911. GI program. Is this legal? You’re going to need to speak to a lawyer about this. I can’t offer legal advice on here. Sorry! Sarah – what did the Court end up doing with the contempt complaint? My spouse will have completed his 6 year commitment on May 12th, 2015 & is planning to renlist. My question is, would he apply for transfer on 05/12/2015 or is he able to apply sooner but reflect transfer start date to indicate 5/12/15 or after? Also, since he is due to sign his option for renlistment this September 2014, would he elect the renlistment start date to reflect the same start date as the date of gi bill transferability? What is your spouse trying to transfer – is he trying to give your his GI Bill benefits? If I were you and him, I would speak to his CO to get an authoritative answer on this question. They’ll know exactly what to do, and I don’t want to mislead you guys!